The American Medical Association just released a statement that 35.7% of Americans are obese according to the Centers for Disease Control and Prevention. Obesity has been declared a disease by the AMA. However this declaration is hotly debated. Obesity-related conditions, including heart disease, stroke, type 2 diabetes, and certain cancers, are some of the leading causes of preventable death. If it’s preventable, then why is it classified as a disease? “The American Heart Association believes the additional focus is needed on this important risk factor for heart disease and stroke.” The AHA wants to open people’s eyes to the severity of the issues (one in every two deaths is caused by heart disease – which is 90 % preventable) and to demonstrate to people that they possess the power to make decisions which improve heart health and cardio strength. Whether you believe obesity is a disease or not, consider this: the power to prevent it is in your hands. Obesity is preventable. Whether you believe obesity is a disease or not, consider this: the power to prevent it is in your hands. Obesity is preventable. You don’t have to take pills, prescriptions or appetite inhibitors; what you have to do is control what you eat and how much physical exercise you do. If you eat whole grains, fat-free foods, fruits, vegetables, legumes and delete red meat, fried foods, and the bad saturated fats and start walking 30 minutes a day, you will be on the right track towards preventing obesity and all its related diseases. 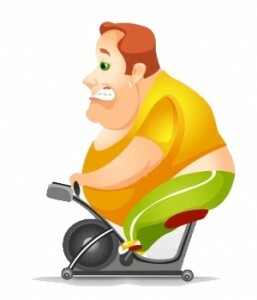 www.HeartEasy.com has information and tips for you about eating and exercise. Each one of us can choose between a cheese-laden burger and a salad, just as we can choose to buy black shoes or brown. If you’re not making the right choices to support your heart health and stave off obesity, then perhaps you don’t have the right information. With the facts available at the click of a mouse it’s hard to believe someone doesn’t have access to healthy eating information, but let’s give them the benefit of the doubt and start spreading the word. Take action! Let’s not allow people to die of obesity-related diseases when they can live healthier, happier, longer lives by choosing to eat healthier and by exercising. What can you do in your community to spread the word about healthy eating? Can you create a health day at school, church or at your community gatherings? What about teaming up with a local nutritionist to teach kids and families how to create healthy meals? Can you make a game of it? Can you create a fund raiser? Can you reach out to lower economic groups and share the wealth of healthy eating knowledge? Can you plant a garden, raise awareness and invite local growers to talk about the value of fresh produce? Start today. Get a group together. Brainstorm ways you can affect your community’s health for the better. You may actually save some lives and how great would that feel? – Kac Young, a former television director and producer, has earned a Ph.D. in Natural Health and is a Doctor of both Clinical Hypnotherapy and Naturopathy. She is the author of 10 books. Heart Easy is a system of nutritionally sound, delicious meals that promote heart health, long life and taste great. In the cook book sound nutritional advice is followed by traditional recipes that have been turned into heart healthy meals that anyone can make and everyone will love. This video really explains and helps you understand what PWS truly is…..
Prader Willi Syndrome is a congenital condition that significantly reduces muscle mass and causes cognitive delays. A common symptom of PWS is insatiable hunger, which often leads to obesity and can be life-threatening if left uncontrolled. The babies of overweight mothers are born with the first signs of heart disease, Australian research suggests. The walls of the body’s main artery are already thickened in newborns whose mothers are obese or overweight, and the fatter the women the more their babies’ arteries appeared to be clogged, scientists have found. Experts cautioned that the study was too small to be certain, but suggested that overweight mothers were increasing their children’s risk of heart disease in later life. Most women giving birth are now overweight or obese, and campaigners said the latest findings added urgency to efforts to reduce the weight of new mothers. Australian scientists looked at 23 women whose body mass index ranged from normal to morbidly obese early in pregnancy, and when their babies were seven days old scanned the newborns’ abdominal aortas, the section of the artery running down to the belly. The thickness of the innermost walls of the artery ranged from 0.65mm to 0.97mm and increased with the mother’s weight, irrespective of the size of the baby itself. There was a difference of 0.06mm between babies of overweight and normal weight mothers. Michael Skilton and his team from the University of Sydney said that this hinted that arteries were already clogged up at birth. “The earliest physical signs of atherosclerosis [clogging of the arteries] are present in the abdominal aorta, and aortic intima-media thickness is considered the best non-invasive measure of structural health of the vasculature in children; suggesting a putative mechanism by which maternal adiposity [fatness] may influence the risk of later cardiovascular disease in the offspring,” Dr Skilton and his team write in the journal Fetal and Neonatal Edition of Archives of Disease of Childhood. Tam Fry of the National Obesity Forum said that the findings were worrying. “Babies are starting to have a pretty rough existence before they’re born because of the weight of their mothers,” he said. “The lesson we should get from this is we’ve got to be really much more focused on making sure women of child-bearing age from the earliest point, back in school, get the message that if they think of having babies they have to think of the responsibility to get themselves healthy before conceiving. There has got to be a lot of pressure on women to go into pregnancy at the right weight. There’s still this myth about eating for two, that you have to eat more. Two thirds of Americans are overweight. One third is obese. Obesity and a host of illnesses related to weight problems kill more people than any other disease. Experts are scrambling to find answers for what causes the epidemic and seem to come up with new explanations every day, only to be contradicted by the next study. Unsurprisingly, consumers are confused and stop paying attention. How is it that we are eating ourselves to death, not just here but increasingly around the world? Does the so-called “Western diet,” consisting of cheap, highly processed, highly caloric foods, make us fat? Or is it sugary sodas? Are portion sizes too big? Does the food industry turn us into addicts? Do we just not exercise enough? So far, none of the countless studies on these subjects have had much impact in practical terms. Lobbying efforts and political gridlock are oftentimes blamed for the maddeningly slow progress. But that may not be the only reason. Some experts warn that despite of all the research, finding definite answers may prove elusive for some time to come. Hoping for a smoking gun that lets us clearly identify causation may not be in the cards, ever. As an example, the authors cite a study that analyzed potential connections between food advertising on billboards and prevalence of obesity in certain parts of Los Angeles and New Orleans. The study results showed that areas with more outdoor food advertisements had a higher proportion of obese people than those with fewer ads. So, there seems to be a direct link. Too little sleep with unlimited food availability leads to too much eating and weight gain, according to a small new study. Wright and colleagues monitored 16 young, lean, healthy male and female adults who lived for about two weeks at the University of Colorado Hospital, which has a sleep suite. For the first three days, all the participants had the opportunity to sleep nine hours a night and were given meals that contained only enough calories to maintain their weight. For the next five-day period, the participants were split into two groups. One group’s sleep was limited to five hours a night, while the other group could sleep for nine hours. Both groups were offered larger meals and had access to healthy and unhealthy snacks throughout the day. After those five days, the groups switched. On average, participants whose sleep was limited to five hours burned 5 percent more energy than those who could sleep for nine hours, but they consumed 6 percent more calories. An Israeli-made pill may be on its way to make the world slimmer. 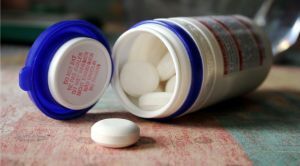 The “slim pill” to reduce obesity could go on the market as a medicine, with the help of a major pharmaceutical company. The Israeli start-up Gelesis is in advanced talks with a large pharmaceutical company to develop its pill that makes people fat people feel their stomachs are full, resulting in less food intake and a loss in weight. The pharma company was not identified by Israel’s Globes business newspaper, which said that Gelesis soon will publish results of a recent clinical trial of the pill. Instead of asking the US Food and Drug Administration (FDA) to consider the product as a nutritional supplement or medical device, the Israeli company wants to offer it is a medicine in to increase its market appeal. Childhood obesity is a national epidemic. In the United States, the number of children and teenagers who are overweight or obese has tripled from 1980 to 2000 alone, and the numbers continue to grow each year. Surveys show Colorado is the least obese state in the nation with 20.7 percent of adults and 10 percent to 15 percent of children defined as obese. Don’t pat yourself on the back just yet. These percentages represent a significant number of our Coloradans who are living unhealthy lifestyles. In fact, our current obesity rates are similar to Texas in 1995. Many of us are unsure of how to judge what overweight and obese look like as we are one of the most overweight countries in the world and that has distorted our perceptions. The most common way to calculate if an individual is underweight, at a typical weight, overweight or obese is by their body mass index, or BMI. This calculation takes into account a person’s weight and height to determine their categorical body mass. While this calculation is not perfect, and does not take into consideration the difference between muscle and fat, it is effective as a quick screening tool. 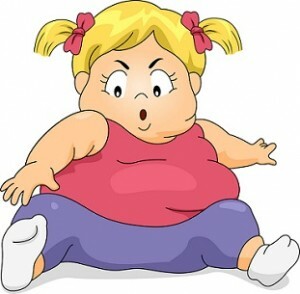 To calculate your child’s BMI, go to www.Colpts.com. 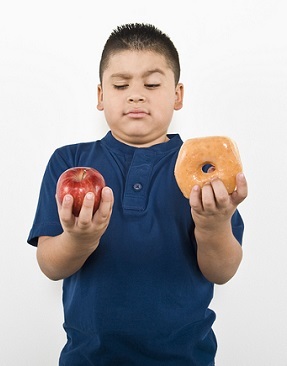 Childhood obesity is one of America’s biggest health concerns because excessive body weight is associated with heart and lung disease, diabetes, liver complications, sleep apnea and specific types of cancer. Two of the most commonly reported problems in overweight children are joint pain and bone health. Studies show girls and boys who are obese have 13 percent less bone mineral strength compared with their same-aged healthy peers. Decreased bone strength may lead to spinal complications as well as bone fractures if not addressed. 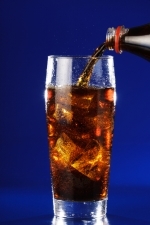 From Your Health Journal…..”Such an interesting article written by Jennifer Peltz of the Associated Press on the Record Searchlight web site entitled NYC soda-size rule eyed from coffee shops to clubs. We have discussed on this web site many times what is coming ‘down the pike’ with regards to the obesity epidemic facing mankind all over the world. Government intervention will be involved to some extent, maybe not complete control in our lifetime, but some control. With economic times still at a low, and looking for ways to keep health care cost lower, governments will intervene. They want healthy citizens who will be productive in the workplace, who contribute positively to society. Whether bans and restrictions will have an impact…..time will tell. I remember when cigarette commercials were on television many years ago, until they were banned from the tube in an effort not to glorify smoking in the eyes of children, and to hopefully reduce sales. Did it stop minors from smoking, and reduce cancer from smoking? Not quite sure of the impact, but this ban does remind me of this. So, the size of soft drinks will now be reduced….can someone buy 2 drinks of smaller size instead of one larger size? There are still a lot of unknowns. At barbecue joints, coffee counters and bottle-service nightclubs, a coming clampdown on big, sugary soft drinks is beginning to take shape on tables and menus in a city that thrives on eating and going out. Some restaurants are ordering smaller glasses. Dunkin’ Donuts shops are telling customers they’ll have to sweeten and flavor their own coffee. Coca-Cola has printed posters explaining the new rules, and a bowling lounge is squeezing carrot and beet juice as a potential substitute for pitchers of soda at family parties — all in preparation for the nation’s first limit on the size of sugar-laden beverages, set to take effect Tuesday. Some businesses are holding off, hoping a court challenge nixes or at least delays the restriction. But many are getting ready for tasks including reprinting menus and changing movie theaters’ supersized soda-and-popcorn deals. At Brother Jimmy’s BBQ, customers still will be able to order margaritas by the pitcher, cocktails in jumbo Mason jars and heaping plates of ribs. But they’ll no longer get 24-ounce tumblers of soda, since the new rule bars selling non-diet cola in cups, bottles or pitchers bigger than 16 ounces. “Everything we do is big, so serving it in a quaint little 16-ounce soda cups is going to look kind of odd,” owner Josh Lebowitz said. Nonetheless, he’s ordered 1,000 of them for the North Carolina-themed restaurant’s five Manhattan locations, rather than take on a fight that carries the threat of $200 fines. “As long as they keep allowing us to serve beer in glasses larger than 16 ounces, we’ll be OK,” Lebowitz reasoned. Beer drinkers can breathe easy: The restriction doesn’t apply to alcoholic beverages, among other exemptions for various reasons. But it does cover such beverages as energy drinks and sweetened fruit smoothies. City officials say it’s a pioneering, practical step to staunch an obesity rate that has risen from 18 to 24 percent in a decade among adult New Yorkers. Health officials say sugar-filled drinks bear much of the blame because they carry hundreds of calories — a 32-ounce soda has more than a typical fast-food cheeseburger — without making people feel full. Welcome a new definition of playtime. What once meant engaging in friendly competition on the playground, now means engaging in virtual competition without even leaving the house. As phone, tablet, and television screens get closer to our faces, both parents and children are blinded by artificial light and missing out on nature’s own. When a problem like childhood obesity takes the reins on children’s lives so much so that the first lady gets involved, it’s no wonder that it’s been a growing epidemic since the 1970s. Although the 1970s is defined by the Equal Rights Amendment, there was a major shift in day-to-day life that sparked equally weighted changes in diet and activity. Fast food chains gained popularity and children started eating out at their favorite quick stops fivefold more than they used to. 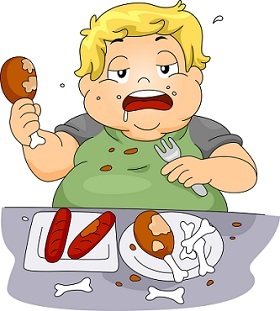 According to Effects of fast-food consumption on energy intake and diet quality among children in a national household survey, 30.3% of the total sample of 6,212 children and adolescents 4 to 19 years of age in the United States reported consuming fast-food. With programs like Let’s Move led by first-lady Michelle Obama and the Play60 campaign led by members of the National Football League, people are starting to take note of the empty playgrounds and growing rate of sedentary children. Today’s kids are eating too much and exercising too little. These patterns, when established in such early stages of life, can progress to adulthood where many individuals may end up sitting in front of a cubicle for work, not cognizant of the dangers of inactivity. If we stay on this path, the CDC projects that 42% of Americans will be obese by the year 2030. The Center for Disease Control and Prevention (CDC) reported that 15% of severe obesity in adults is a consequence of persistent obesity in childhood. If we stay on this path, the CDC projects that 42% of Americans will be obese by the year 2030. That’s nearly half of America, or 1 in every 2 people! Not to mention that this same report by the CDC finds that $550 billion worth of health care costs are derived from obesity-related ailments. Childhood obesity has become such a problem that teachers in North Andover, Massachusetts are deciding to take action by sending “fat letters” to children of obese parents. This controversial way of direct-action in an effort led by the Department of Public Health tells parents by a note sent home with their child that their child is obese. There are many ways to open a parents eyes to how their daily activities are setting an example for their children. Although “fat letters” may be extreme, doing things like encouraging activity or asking them to join you on an after-dinner walk can exemplify good habits and encourage communication! Clearly, obesity is and is continuing to be a growing epidemic. We are so preoccupied by what’s in our inbox, getting ahead, and being part of this technology-driven tornado that we are losing focus on ourselves. To get ahead, adults need to practice healthy lifestyles to inspire their children to do the same. This means playing or being active for at least 30 minutes to 60 minutes a day and inhaling from fresh, outside air. The desire to help children realize their kinetic potential inspired me to create Fit Kids, Healthy Kids, Happy Kids, a compilation of children’s songs that aim to inspire movement and healthy lifestyles. With a little bit of education and fun while being active, whether it’s dancing while doing the dishes or playing ball in the park for an hour or two, we can reverse this trend of childhood obesity for a healthier future. – Rock & Pop Star Anand Bhatt, when not on the red carpet, is an active supporter of health and fitness endeavors worldwide. After witnessing the unhealthy lifestyles of himself and his peers, Anand wrote the book Rock Star Recipes, an easy diet program for those who are strapped for time or under stress. Anand Bhatt has recently released the music album Fit Kids, Healthy Kids, Happy Kids, a compilation of children’s songs that aim to inspire Parents, Teachers and Kids movement, good eating habits and overall healthy lifestyles. Taxpayers can save money by investing in anti-obesity and other health campaigns, advocates told local state legislators Friday morning at a breakfast in Green Bay. 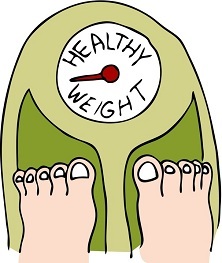 Nearly two-thirds of Brown County residents weigh more than they should, and a fourth of Wisconsin high school students are overweight or obese, according to Live54218, a local advocacy group promoting healthy lifestyles in Brown County. Obese adults spend $1,400 more a year in medical costs than others, said Jen Van Den Elzen, director of Live54218. She noted the state spent $1.6 billion in medical costs related to obesity in 2008, and in 2011 it was projected to spend $2.7 billion in 2013. Support for improving health issues can be handled in several ways, Van Den Elzen said, including individually, person to person, organizationally, community-wide or through public policy. Public policy changes likely offer the biggest impact, she said. About half of Green Bay School District children qualify for free or reduced-price meals, an indication of poverty. Many eat breakfast and lunch at school, and some also eat dinner at school or have backpacks filled with food sent home with them on weekends. “We see this as a huge opportunity to influence what youth are eating,” Van Den Elzen said. Farm-to-school programs are a way to bring healthful foods into schools, she noted. Green Bay, Ashwaubenon and Oneida schools recently have adopted farm-to-school initiatives. These programs not only encourage students to eat good foods, but also support local farmers, she said.